January just flew by, and now it is time to post our projects for the 12 Kits of Occasions. Our hostess this month is Sharron, and she sent the most wonderful and enormous package of goodies--all designed to get us ready for Valentines Day. Here is a picture of Sharron's kit, and you can click on over to the 12 Kits of Occasions blog to see a list of supplies. Can you see how much loot is in this kit? It was mind boggling. There were so many things I loved. I made 6 cards, 2 tags, and a little Lunchbox Note Card, and I have so much stuff left it is crazy. I plan to pull these leftovers as soon as I see what everyone else did and do some serious CASE-ing. I'll get right to it, since there is a lot to see. 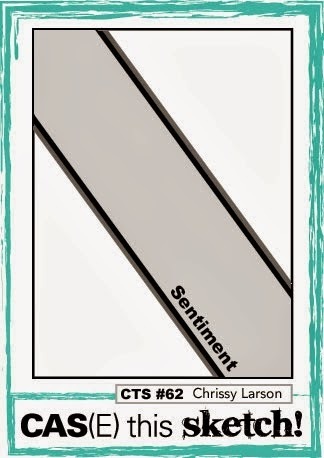 These first two cards use this week's sketch (rotated) at CAS(E) this Sketch #62. How cute are those tiny elephants? I just love them. There were some birds just as cute, and I still have them all because I ran out of time before I could use them. They'll make their appearance some other day on this blog. The colors in my photos are off. These tags look like they are kraft, but they are really this totally cool putty color from SU called Sahara Sand. I had never seen this color before, and of course, will be ordering some for my stash. Also, I used Wink of Stella quite liberally, but none of the glitter is showing up in the photos. That's it for me this month. I am interested to see what everyone else did. I still do have quite a few things left over that I can use for CASE-ing. Thank you so very much, Sharron, for sending such a wonderful kit. And, there's more. 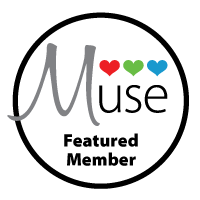 We have a special guest designer this month, Michelle from Pretty Periwinkles. I am eager to see what Michelle did with her kit, too. 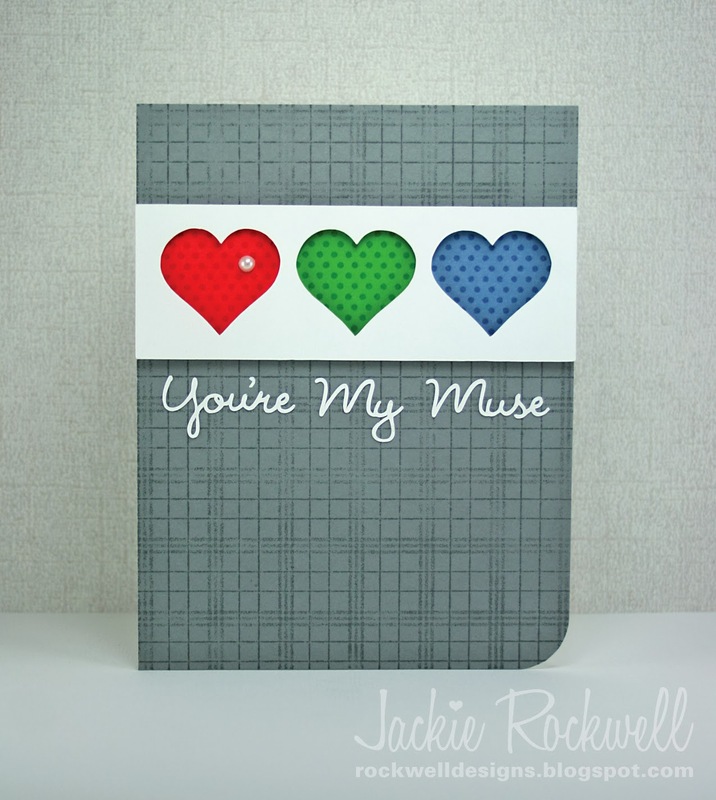 I was not going to make anything today, but when I saw this morning's Fusion #3 challenge and I looked at the new MFT Staggered Heart Border die that arrived last night, I just knew I needed to play around a little. I was inspired by both the sketch and the photo. I stacked three die cuts out of Pure Poppy to add some depth, since I didn't think I could get foam tape on some of the thinner pieces. Playing around and turned the sketch 180 degrees. Changed where I put the sentiment and also used the Book Print Impression Plate. And, one more card--I thought those hearts would work for a baby card, using Spring Rain and the Stars Impression Plate. We are having a super gloomy day in "sunny" San Diego, and the colors and lighting are all off on my photos. Sorry about that. That's it for me today. Please come back tomorrow to see my January 12 Kits of Occasions post, where Sharron is our hostess and our theme is LOVE. 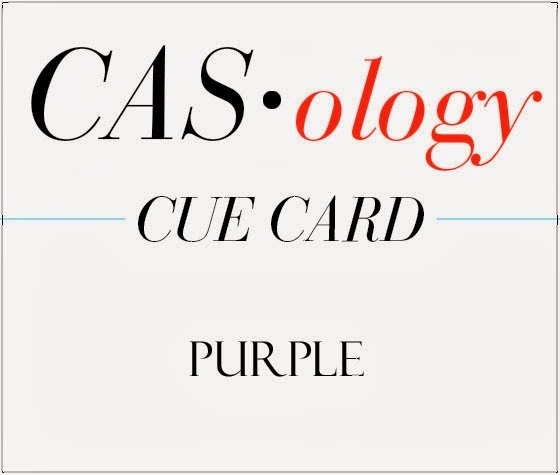 Welcome to Week #80 at CASology, where the cue word is PURPLE. How fun is that? How do you feel about purple--love it? hate it? I had a good time with this challenge. I like purple, so I was like--bring it on--how many shades of purple can I get on my card? I pulled out my stash of paint chips I had swiped from our local paint store way back when. I found one that had lots of shades of purple on it, and based my card around that. I cut the paint chip down to size and used it as a border on my card. I stamped my sentiment (from Bigger Blooms), ran my white panel through the Big Shot with the Picnic Plaid Impression plate, and then adhered two die cut Prim Poppy die cuts in Royal Velvet and Winter Wisteria. Popped my front panel up with dimensional adhesive, stuck on a few sequins, and I was done. In case you are wanting to paint your house these colors--here are their Sherwin-Williams names, top to bottom: Purple Passate, Mythical, Ash Violet and Grape Mist. Check out the beautiful designs from the CASology Design Team members and see how they were inspired by PURPLE. Then, please play along and link your creation to the CASology blog by Sunday, February 2 by 4PM (CST). How will you be inspired by PURPLE? I can't wait to see how you are inspired by PURPLE. I have two cards to post today. 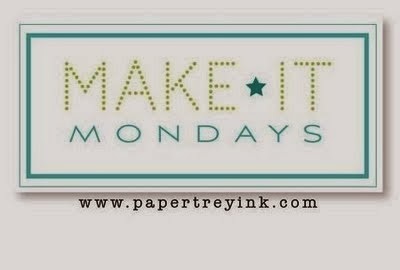 The first card is for this week's Make it Monday: #149: Glittered Embellishments. I based my card off of this card by Laura Bassen. When I first saw this card, I had to have the die she used. I am still in love with that die. I wondered what those layers would look like done in glitter, so that is what I made for this week's MIM--the bottom half of my card is one big glittered embellishment. In the video, Heather suggests running both sides of the die cut through the Xyron machine. That did made things very easy. My next card is for CASE Study #175. I was drawn to the gold embossing, the simple and bold sentiment and the black card front. I have a background stamp by Hero Arts that has a very cool pattern, but I never quite know how to use it. I decided to use this stamp on the top panel of my card--I embossed it with gold and then sponged distress inks over the white parts. I am entering this card into A Blog Named Hero #36 New Year, New Stash because I think this is only the 2nd time I have used this stamp. 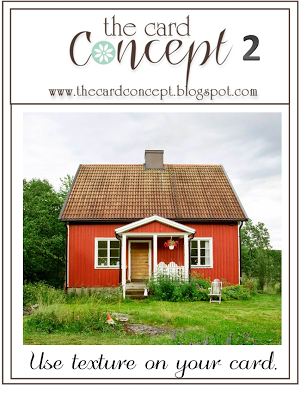 I am back with part 2 of my January PTI blog hop entries. You can click here to see my first post. My SIL came to visit over Christmas to spend some time in the California sun and recover from her breast cancer surgery. I made her a set of thank you cards that she could use to thank some of the many people who have helped her during her illness. I realized I never posted them, and since they are all pink, I thought I'd post them today and enter them at the Blog Hop. They are all flat 1/4 sheet cards. This card uses white and hibiscus burst paper and the Wonderful Words Thank You die. 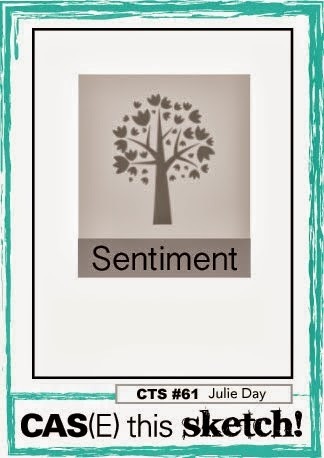 This card uses PTI Paper, a sentiment from On the Farm, and Paper Smooches Hope stamps. On this card, only the paper is PTI--the dies are from Paper Smooches. Here they are, all packaged up for her to take home. First up is my favorite of all my cards. 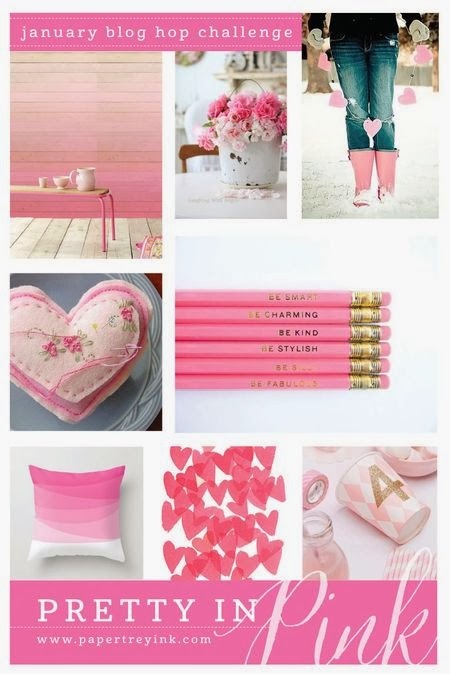 I did some color blocking, similar to this card here, but all in pink. I started with Raspberry Fizz in the middle, then Hibiscus Burst on either side, and then SU Pretty in Pink on either end. The sentiment is from Happy Hearts. ETA: CAS-ual Fridays color blocking challenge is still on, so I will enter this card over there. This card uses the same pink papers, cut with the Rainbow Stripes dies and a sentiment from Stylish Sentiments Birthday. I cased this from one of the DT release projects, but can't find the link at the moment. My dear friend Kim was nice enough to send me some die cuts of the Love die (that I did not buy), and I just added a sentiment from Wonderful Words Love and a few die cut hearts from Love Lives Here. I used this week's CAS(E) this Sketch for my next card. The stamps are from Hearts Squared and I added a tiny little die cut grey heart from Love Lives Here. One of the sentiments in Happy Hearts just screamed 'BABY' to me, so I made two baby girl cards. I think I will use this sentiment either on the inside or outside of every baby card I make. I just love it. 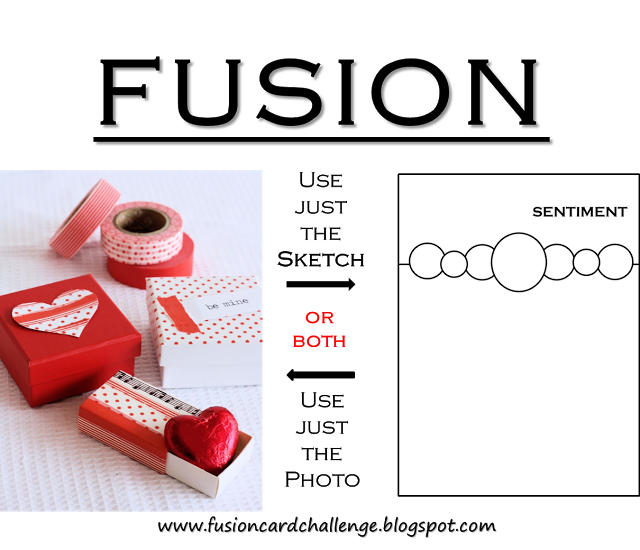 The first card uses hearts from Happy Hearts, stamped in Memento Angel Pink. 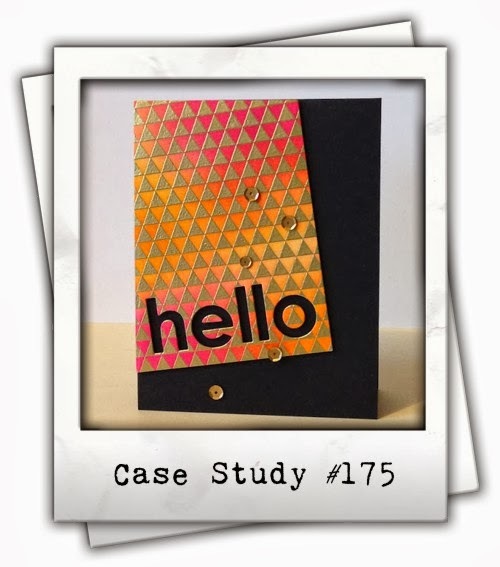 The second card uses Happy Hexagons stamps and dies and the Stars Impression Plate. It can't be a pink-fest without a flower, right? I used Friends 'Till the End and some grey washi tape on this next card. I borrowed this layout from Deanna. Finally, I have two cards using some pink washi tape. I am trying to use some of my tapes, rather than just keep buying them. The design is a modification from this post. I added an additional strip of tape on the card base. 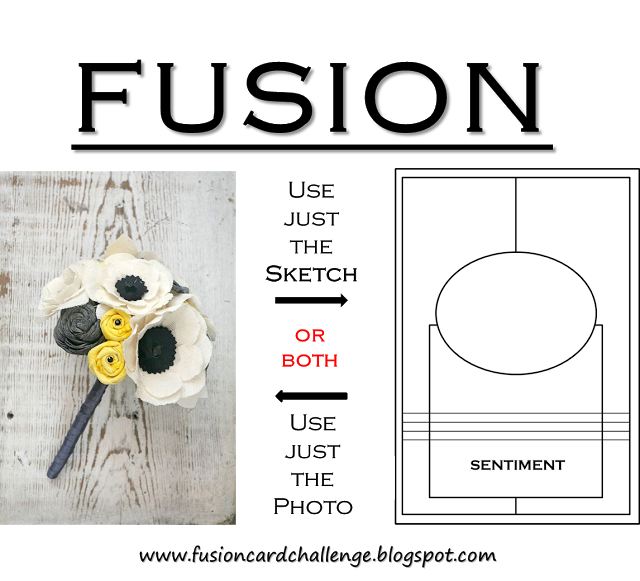 The sentiments on these cards are from Mini Blooms and Bigger Blooms. That's it for me for now. I'll be back later with a pink themed card set that I haven't yet had a chance to write up. I was inspired by the layout and the three images going across the card. I made a valentines day card to send to a sweet little boy, Jonah, who is fighting for his life. You can read more about it on Susan Raihala's blog. I made my own sentiment using Paper Smooches alphabet stamps for the 'hoppy' and Heart Prints for the 'Valentine's Day' portion of the sentiment. I hope this card can make Jonah smile. I am also entering this card at Simon Says Wednesday Let's Have a Laugh Challenge. You you heard it right, Renee is the fabulous hostess in February at The 12 Kits of Occasions and she is offering up not only the kit but a Guest Design spot!! so I'm borrowing that idea and offering up another chance to be a guestie here with all of us in February! 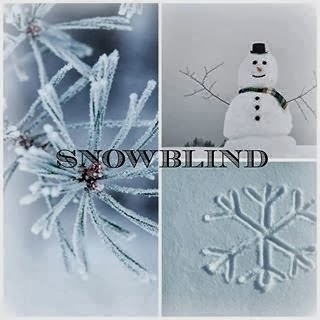 just leave a comment on the 12 Kits of Occasions Blog telling us your favorite winter activity (if I could get away with it mine would be hibernating till spring because I don't like the cold so I guess instead my favorite activity would actually be complaining about the cold! *giggle*)before Saturday, January 25th at 11:59 CT and I'll announce the winner here on the 12 Kits blog Sunday January 26th! Good luck and can't wait to see who's going to be joining us next month!" Head over to the 12 Kits Of Occasions Blog and leave a comment. Happy Wednesday my friends. I've got four cards to post today for a variety of challenges. First up is a card for this week's Festive Friday FFC #23, The Card Concept #2 and Addicted to CAS--NEW. 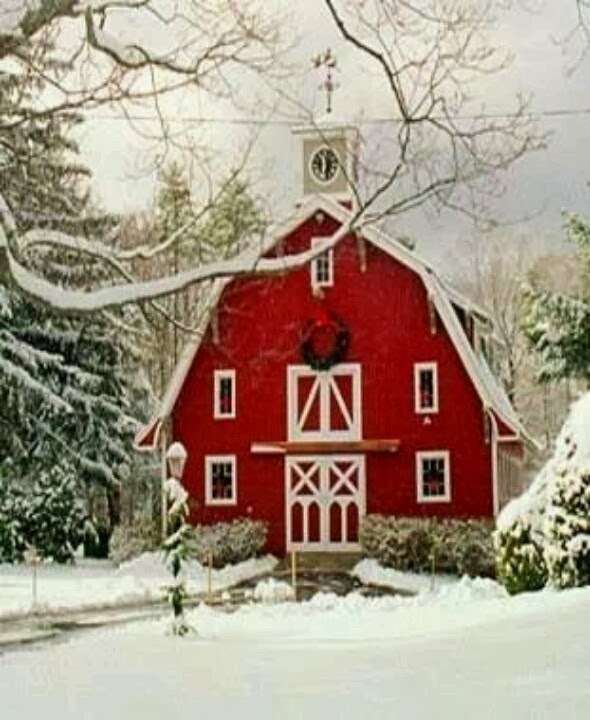 For Festive Friday, I took my inspiration from the red barn, the snowy scene, and the trees. I am pretty sure that this is my first time playing at Festive Friday. The texture for the Card Concept challenge is provided by the bumpy rows of faux stitching on the edges of the snowy hills. 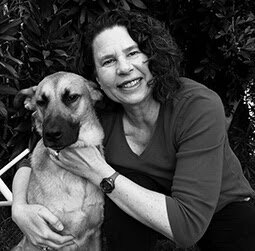 I am especially excited to be playing at The Card Concept because one of my besties, Cathy, has recently joined the team. I am putting this card into the Clean and Layered category. What do you think? My new supplies on this card are the ME Landscape Trio dies and the Holiday Home stamp set. I used houses from Holiday Home and trees from City Scene. Next up is a card for this week's Fusion #2, where I took my inspiration from the photo--the colors, flowers and wood plank background. The challenge at A Blog Named Hero #36 is 'New year, new stash'. The Hero Arts Hydrangea stamp is practically brand new, since I have only used it one other time. 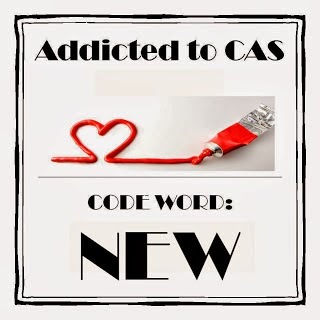 I am also entering this card at Addicted to CAS--NEW. Lastly, the challenge at Simon Says Monday is 'A is for...' and I am using the word ANGLE because my design features patterned paper cut at an angle. 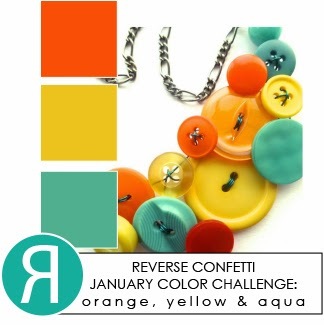 My last two cards are for the color challenge over at Reverse Confetti. Given that I only have one die and one stamp set from Reverse Confetti, I was a bit stumped. 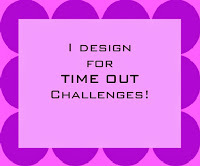 But, sometimes having less forces more creativity, and I actually ended up with two ideas for this challenge. So, lucky me--I now have two more birthday cards for my stash, and I think these could be used for either gender. And, because they are both textured using the PTI Numbers impression plate, I'm going to link them both up at this week's Card Concept #2. And, I'm calling both of these clean and layered. That's it for me today. I am going to my first official meeting with my daughter's college counselor. Wish me luck. Where the years have gone is a mystery to me. I am not ready for all of this.